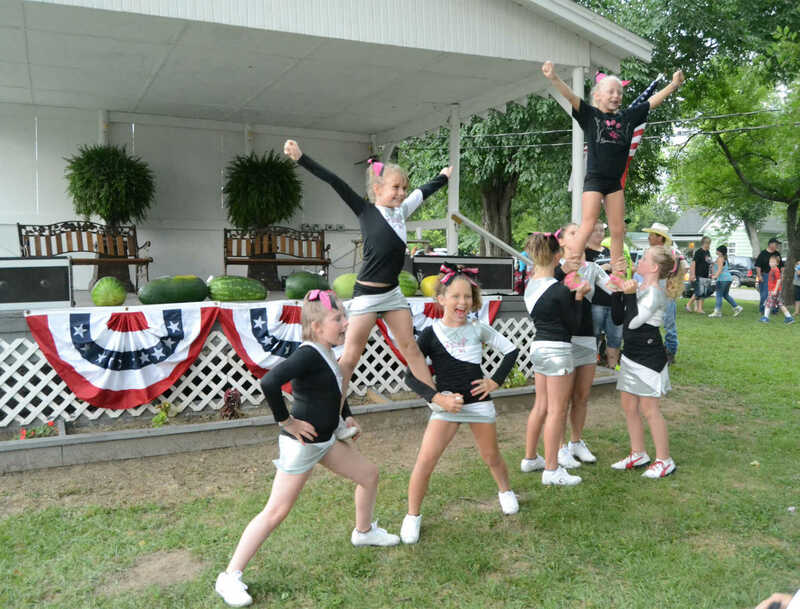 Head Over Heels for Hannah gives a show before the watermelon auction at the Sheldon Old Settlers Picnic. 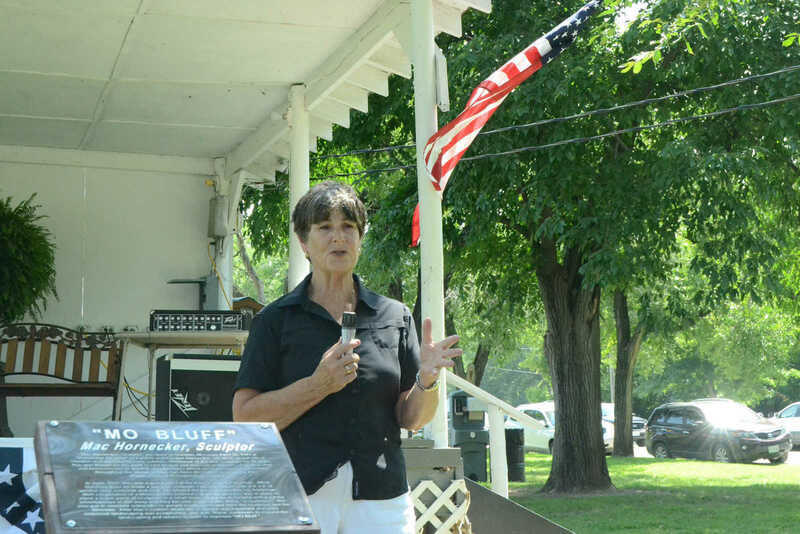 Author Marie Hornecker speaks about her husband, an architect from Sheldon, at the Sheldon Old Settlers Picnic on Saturday. 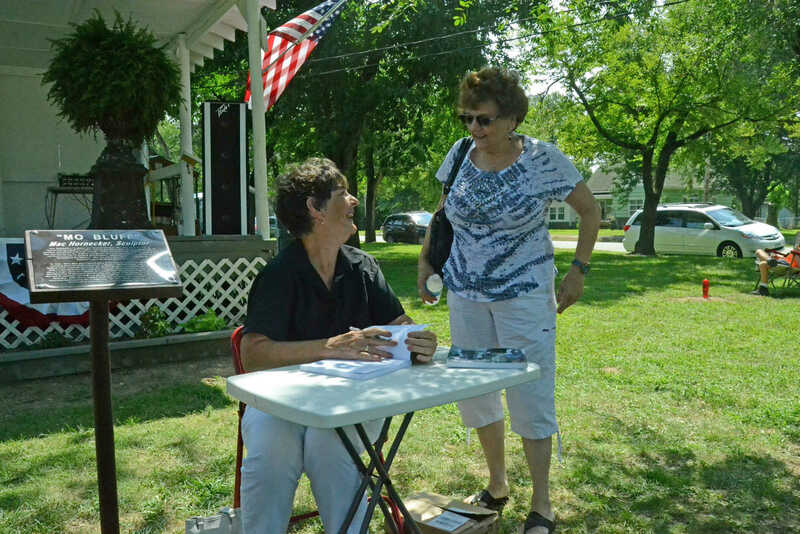 Author Marie Hornecker speaks to Sheldon resident Marge Holznagel at the Sheldon Old Settlers Picnic on Saturday. 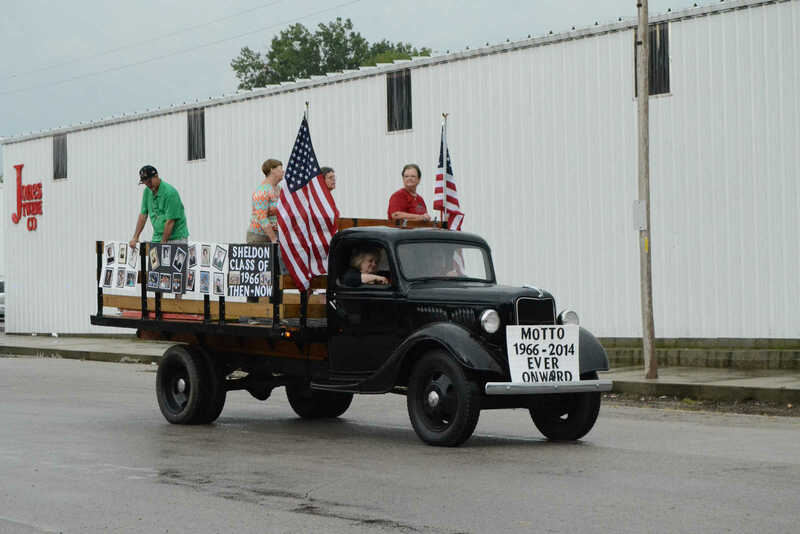 Darlene Sheridan, her daughter and grandaughter represent three generations who attended Sheldon school district in the Sheldon Old Settlers Picnic parade. 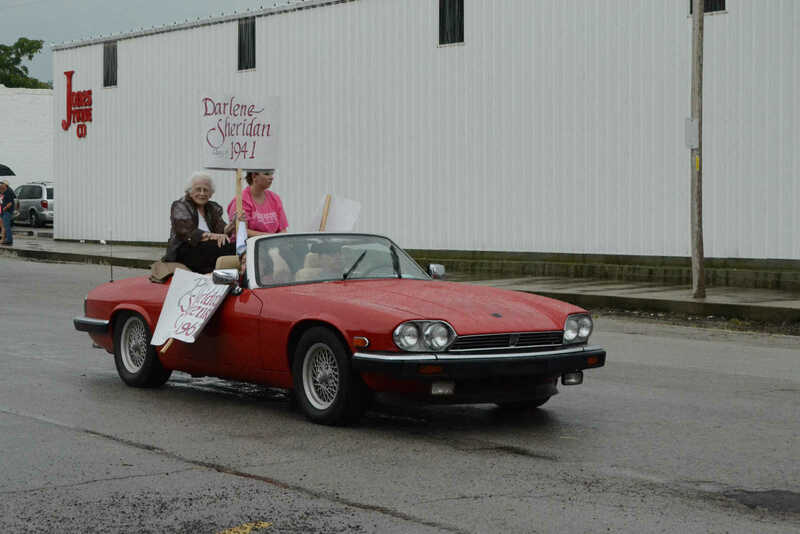 The class of 1966 participates in the Sheldon Old Settlers Picnic parade.